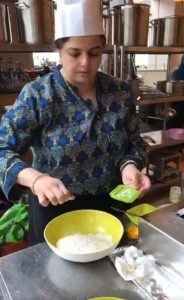 Sonal Sadarangani demonstrated sweet flour rolls or Tosha which are very similar to North Indian Shakar Paare or Gur paare at the 2nd What’s Up Chef cookery event. Mix the dry ingredients, flour, salt, bicarb soda, and jeera. Add oil and water until it becomes dough. Knead the dough until smooth. Split and shape the dough into twenty five equal parts. 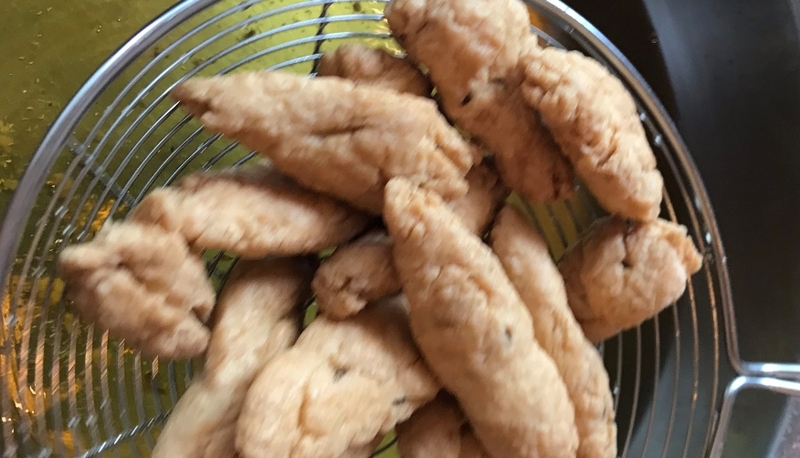 Deep fry the shaped dough shapes until they turn golden brown. a. Cook sugar and water until it forms one thread-like consistency. b. Add the fried toshas and stir it carefully. Wait until they are well-coated. c. Serve it cool and enjoy your tosha.